Everybody has worries and fears. They can be useful because they can be warning signs of danger. They can also give us insights into the workings of our own minds. For some, understanding the source of a worry or fear helps them address a deeper issue causing it. But for most people, those repetitive bolts of worry, fear, or anxiety are nothing but a nuisance. New insights in neuroscience offer us hope, however, in being able to change our emotional states. During worry, fear or anxiety, brain resources tend to be flowing towards worry, fear and anxiety areas of the brain. Part of the fear architecture in the brain is the amygdala. You might have noticed that the more we worry the more we seem to find to worry about. Worry, fear and anxiety are like habits for many people and so much so that eventually it only takes a small thing to set it off. Several years earlier, the same thing wouldn’t have had as much of an effect, if at all, and you now wonder why it is that you seemed so much stronger, more resilient, when you were younger. It’s partly because just like a muscle grows bigger and stronger through exercise, so worry, fear and anxiety brain areas grow too. Just as a muscle becomes more powerful, so worry, fear and anxiety seem to become more powerful, in that we become more sensitive to circumstances around us and even begin to lose confidence. The phenomenon is broadly known as neuroplasticity. This is where the hope lies though, because, a) neuroplasticity occurs in many regions of the brain, and b) it doesn’t just refer to growth but to shrinkage through lack of use. Think of what happens to a muscle if you stop using it. The strategy I’d like to share with you uses this insight. If you stop worrying so much, you tend to find less things to worry about. That’s because you’re not using the ‘worry muscle’ as much and so it shrinks, just as a muscle shrinks if you stop working it. Easier said than done! True! So the strategy involves bypassing the whole positive thinking thing. Instead we use simple techniques to divert resources away from the worry areas of the brain to areas associated with conscious control of our minds. It’s kind of like not letting resources flow backwards but making them flow forwards instead. Through not ‘feeding’ the worry areas so much, just like a muscle weakens through lack of use, the same happens to worry regions of the brain. It takes a little bit of work, but it can be well worth it. Here’s what you do. Each time the worry, fear or anxiety surfaces, take a comfortable breath, focusing all of your attention on the act of breathing – the sound, the sensation in your nostrils, the movement of your tummy or chest. By doing this, you interrupt the flow of brain resources towards the worry areas and instead send resources towards the prefrontal cortex (the bit above your eyes). It’s an area at the front of your brain that’s associated with conscious control. This is because you are consciously controlling something; in this case, your breath. This prefrontal cortex, among other areas, is active when we focus our attention on our breath. It sounds easy on paper and initially the positive effect might only last a moment or two and you might find yourself having to do it 2, 3 or even 10 times in a row. This is where the work comes in. You almost need to be relentless, focusing on your breath every time the fearful thought or feeling arises. The technique is not for everyone as some might find it tiring and you might also doubt it could actually work. But it can bring powerful results if you keep it up for a few days. Within that time, as neuroplasticity occurs to build the prefrontal cortex while at the same time shrinking the amygdala, you might notice a little letting-up of your fearful thoughts and feelings. Keeping the practice up for a few weeks might produce lasting results. There is another fun way to do it. Instead of focusing on your breath when the fearful feeling arises, I have encouraged people to do a little victory dance – a silly, crazy set of made-up dance moves, choreographed by your good self. The key with victory dancing is to do it long enough until you smile (or laugh) – that might take 5 seconds or half a minute. That way, you’re activating positive emotion centers of the brain instead of fear areas. The same thing occurs as before – you build positive emotion areas of the brain while shrinking the worry areas and this is because you’re giving positive emotion areas a workout in instead of feeding worry areas. You can even add a little visualization or an affirmation while you do the breath thing or the victory dance thing. For the visualization you might imagine the worry area of the brain shrinking down. For the affirmation you might say a positive statement that reflects how you intend to feel. And if motivation to do it is a hurdle for you, a good thing to help keep you motivated is to remind yourself that you’re simply choosing to work different muscles. We all know how muscles get stronger and weaker depending on how much we exercise them. Doing this and acknowledging that there are actual changes taking place in the brain can provide just the motivation you need. It is a vey useful strategy. It might not be for everyone and it’s also not the answer to all of our worries, fears, and anxieties. But it certainly is a useful tool. 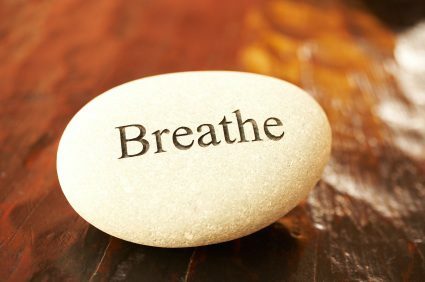 note…..focusing on my breathing has not only helped all my cells, but taken the “fear” out of my day!!! another, just wanting a better world for all of us! Beautiful advice!! I’m on the subject of ‘stress release’ in my yoga classes this week so I will remind my yogis of the simplicity and power of focused breath (and dancing!) Thank you, David! My understanding of what you are saying is that people should learn to meditate. If you have a calm mind you will have a calm life free from stress, anxiety and worry. ( Nothing happens outside of our mind). Thank you very much for this nice post. I like your strategy and I think that it has potential. What you suggest is a way to reprogram our subconscious mind. Each time negative emotions emerge, we cut the mechanism by directing our attention to our breathing. Our subconscious mind learns only with habit and repetition, so we have to do this very often. The more we do it, the easier it will be. It would be great however not to have to train these negative emotions so much. My counsel is to avoid the Medias like tv news, newspapers or radio news. Each time we hear negative news our brain associates them with a certain reality. The more negative news we see or hear, the more negative associations are created in our subconscious mind. Like that more and more external stimuli cause us to feel fear, anger or worries. In the end we are like trained to worry and fear. Instead of reading the news, I watch my kids play and I enjoy their smiles. Like that I have a balanced intake of positive and negative energy :-). Thank you David. I love all your insights and the very personal way you present them. About 6 years ago I practiced a similar approach. My visualization was that each worry or fear was like the little Office Assistant that used to pop up in Word documents. I understood the fear as potentially helpful, so I simply said, “No thanks” and minimized the fear response similarly to telling the Office Assistant to go back into the background. After about a year of gentle practice, I rarely had fear responses anymore unless there was something of true concern. To this day it is exceedingly rare for me to worry or be fearful. Freedom! You gave me hope and calm with your book. I read it today. I would read it again, with special attention to Case Histories. My issues: BPH ( prostate ) , a Bladder Stone and Sinusitis. For BPH and Bladder Stone I didn’t find any specific visualization, so I guess I could use one case History for cancer, adapting it. Could you tell me please if I’m right? Do you know some other technique to release bladder stone without cirurgical procedure? Thank you very much for your concern. Great article… Neville Goddard in his Q&A discussion talks about this in a spiritual sense and I’m excited that neuroplasicity is the scientific proof that if you pay attention to something you perpetuate it. I too wondered why I seemed to not be as resilient as when younger and realise I’ve been growing the wrong ‘muscles’. I was at a loss to how to go about changing this in the middle of a negative experience when trying to focus and dwell in the solution seemed really challenging. To just concentrate on my breathing ie being indifferent to the situation is such a eureka moment…Thank you! I recently bought your book on your mind healing your body as my New Years list and its great thank you! Looking forward to a younger, more relaxing, prosperous 2017! I would like to thank you for sharing this article. 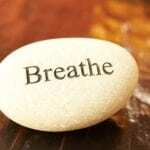 I was reading breathing exercise as a solution for many problems but did not understand why.